Ashley Brown, affectionately known as "Ashley Empowers" is a speaker, entrepreneur, author and relationship blogger. She is a pioneer within the relationship community and she works daily to change the tone of the conversation about marriage and relationships around the world. She is the Creator & Host of "Dating With Purpose", a popular series & movement that promotes pursuing healthy relationships with God at the center. On her YouTube channel, “Ashley Empowers”, Ashley has reached over 7 million people with her hit broadcast series that are designed to uplift and empower viewers. She received her MBA from Texas Woman's University and she is happily married to Carrington Brown, her strongest advocate and partner in business. Carrington Brown is a Relationship Expert, Speaker and Entrepreneur. As a polished speaker, Carrington travels the world inspiring and equipping individuals with the tools to transform their lives through spiritual and self development. Carrington is a mentor for collegiate and professional athletes helping them connect with their identity beyond the game. 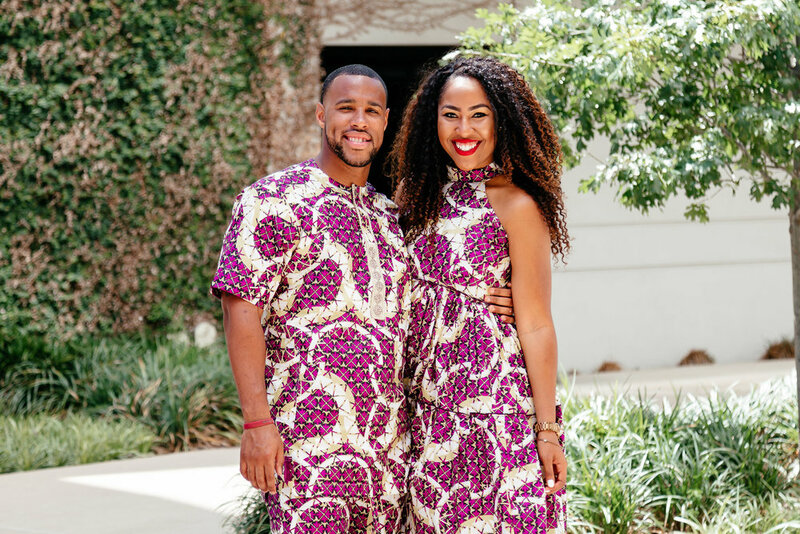 As a relationship expert, Carrington and his wife Ashley authored the book "Before The Next Step, Questions Before I Do", a book of over 300 questions to ask prior to saying “I Do”. Carrington received his Bachelors of Science in Clinical Psychology from Texas A&M University-Commerce where he also served as a starting athlete on the football team. He and his beautiful wife Ashley Brown also known as Ashley Empowers, reside in Dallas, Texas with their children. To learn more about Carrington, visit www.thecarringtonbrown.com. Follow him on Instagram (@TheCarringtonBrown).